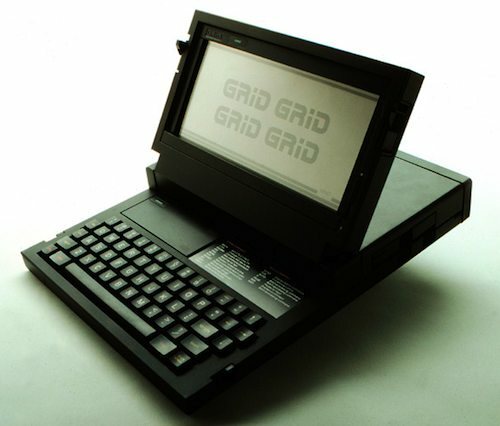 Forgotten Tech The British designer of the world's first laptop has pipped Vivienne Westwood to win the 2010 Prince Philip Designer prize. Bill Moggridge was commissioned by John Ellenby, the founder of a Silicon Valley start-up called GRiD, to design a powerful computer with an electronic display. Ellenby raised some venture capital, while Moggridge assembled a design team and completed the design of what became the GRiD Compass. Released in 1982 and sold for a whopping $8150, the laptop weighed in at 10lb, 2oz (4.6 kilos). So it was more luggable than portable. 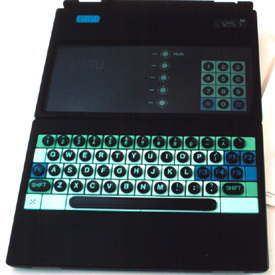 The spec included an Intel 8086 CPU, 256K of DRAM, a flat 6inlectroluminescent display, 384K bubble RAM as internal storage, an external floppy drive, and its very own operating system, Grid OS. The Compass was a hit. 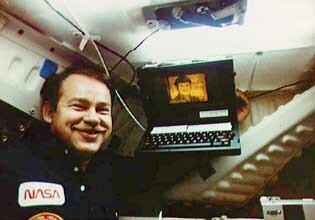 NASA astronauts even took their GRiDs to space. For Moggridge, the impact "lay not in the physical design achievements", the Design Council citation reads, "but in the way that the user interacted with the hardware and software."